How can I use ConversionRuler to track my pay-per-click advertising? How can I use ConversionRuler to improve my emailing program? How can I track financial information with the order snippet? I use my affiliate tracking software to track my marketing. Is this somehow better? I know someone else who could use Conversion Ruler. Do you have an incentive program? Can ConversionRuler track offline sales? I am a web marketer with many clients. Do you have a preferred partner plan? ConversionRuler is an easy to use performance tracking tool that gives highly actionable data on any marketing campaign. ConversionRuler will track the number of catalog requests, newsletter signups, and orders for any internet marketing campaign you execute, including email newsletters you send, online advertising you buy, partnership arrangements you negotiate, and pay-per-click programs you run. The code is easy to install. You can get click-through, catalog signup and newsletter signup data by putting a few lines of HTML on just three pages. To record sales, you must be able to modify your order confirmation page. If you have problems installing the code, we can help. We provide free integration services for order amount tracking. Please contact us for assistance. 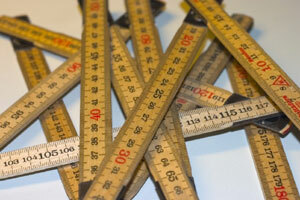 Conversion Ruler was designed with ease of use in mind. Implementation is less than 1 hour for most webmasters. Installation involves the following. Once ConversionRuler is installed, you can add additional marketing campaigns without returning to use our site! Simply change the inbound links in Google Adwords, or Yahoo! Search Marketing, or your banner ads, and the new campaigns are recorded automatically. ConversionRuler charges based on a subscription fee (starting at $39.99 per month), and then charges additionally for landings and actions. A landing generally correlate to the number of unique visitors to your web site. We offer a lower-cost version of the product called ConversionRuler Sourced which only tracks sourced traffic to your site. Actions are additional actions each visitor takes after visiting your site, and can be customized by each site. Please refer to our Detailed Pricing Page for more information. Successful PPC advertising is about precision. ROI should be determined on a keyword-by-keyword basis. The beauty of Conversion Ruler is this: It will track ANY click through on which you place tracking parameters. In other words, you don't need to set up any sort of campaign within Conversion Ruler before collecting data and reporting on it. The landing page snippet on the page would tag the user and associate any future actions (such as catalog requests or orders) to the category "ppc", source "over", campaign "Campaign1" and kw of "dogtoy". How can I use Conversion Ruler to improve my email program? Determine what conversions you can attribute to a particular message. Understand what an outbound emailing is worth to your business. Determine the impact of new message creative or format. Determine how much time and money you should be spending on producing and delivering your emailing. Measure whether one list performs better than another. Monitor the impact that increased message frequency has on your bottom line. To pass financial information you need to be able to populate a couple of variables into the order snippet. This will generally require some coding in the technology that your shopping cart uses. For more details, review our manual. I use affiliate tracking software to track my marketing. Is this somehow better? It's a different tool and it is certainly better for some things. The most prominent example is pay-per-click advertising at places like Yahoo! Search Marketing where you might have scores of different placements to track. With affiliate tracking software, you'd have to set up a separate affiliate for each placement - this would take a lot of time. With Conversion Ruler, you don't have to configure anything in order to get reporting on a new campaign. Once the snippets are on your site, they will report on any incoming link that contains a "source" parameter. This makes the reporting on large numbers of listings relatively easy. But Conversion Ruler is NOT a full-fledged affiliate tracking package. Though it can be used to track the impact of a particular inbound link or marketing partner, it has no functionality for managing the relationship with that partner, i.e. it does not calculate commissions, provide an affiliate interface (for affiliates to get banners and buttons, for example), etc. Absolutely, ConversionRuler is used primarily by advertising and marketing agencies. A Pro Account is perfect for empowering professional web marketers with an easy to deploy tool with powerful site and user management capabilities. Please contact us to upgrade your account.